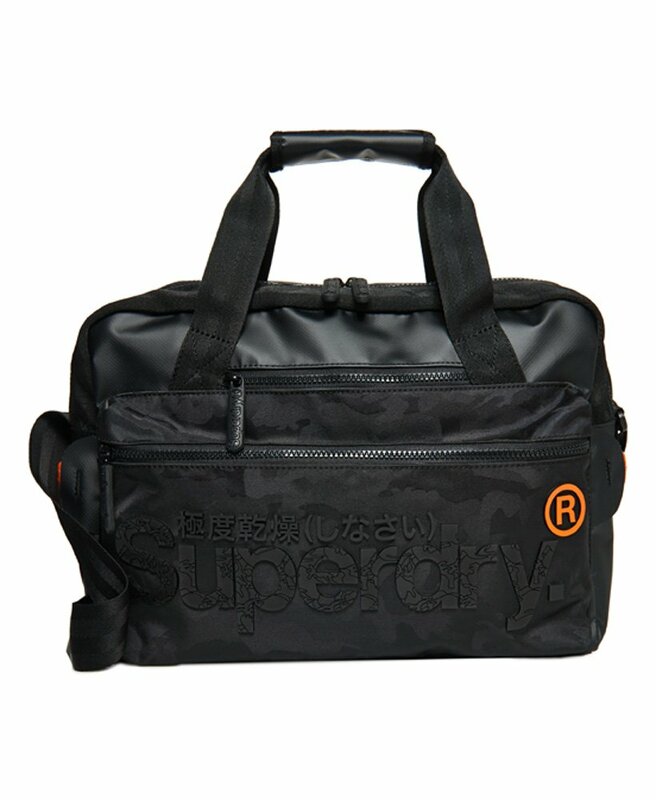 Superdry men's Freeloader laptop bag. The perfect bag to carry your laptop in style, the Freeloader bag features a large main compartment with padded laptop sleeve, front pocket with a zip fastening, twin carry handles and also an adjustable shoulder strap, so you can choose how you carry it. The bag is completed with an additional, smaller front pocket which is great for keeping your phone or keys in easy reach and a high build logo graphic on the front.